Absopure regularly supports local organizations, charities and events in the communities we serve through sponsorships and donations. Each year, we donate almost 1 million bottles of water to hundreds of organizations in Michigan and throughout the Midwest. At Absopure, we believe that access to safe and clean drinking water is important to the health and well-being of the global community. That’s why we’re involved with organizations like the Hope Water Project, which provides fresh drinking water to the Pokot people of western Kenya, and regularly work with other community organizations to supply clean water when the need arises. We are also a proud sponsor of the University of Michigan Athletics, Campus Martius Park in downtown Detroit and the Detroit Jazz Festival, as well as several races that support great causes and promote healthy, active lifestyles—including the Detroit Free Press Marathon, Komen Race for the Cure, GO! St. Louis, RAM Racing in Chicago and more. 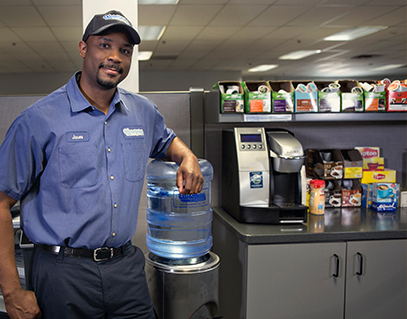 When you need water, your friendly neighbor, Absopure, is there to help! To learn more about our community involvement, visit our blog.